The PPMA Group has announced the appointment of Andrew Stark as new chief operating officer. 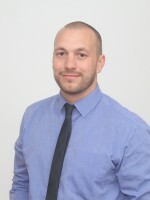 Andrew, who will be joining in early May, has a strong sales and marketing background and has spent the last nine years in the processing and packaging industry working for Multivac in several different marketing, retail account and sales roles. Prior to this, Andrew worked in IT and outsourced professional services in London’s Docklands. “We are very pleased that Andrew Stark has accepted the PPMA Group board’s offer to become chief operating officer,” states PPMA group chairman, Richard Little. “Andrew has many years experience of the packaging machinery market, including in-depth knowledge of end users and the supply chain. Andrew will add value to the already excellent PPMA team and allow us to build on our rapid progress in developing our PPMA Show and related events, and also facilitate the introduction of new strategic initiatives such as the PPMA BEST (Business, Education, Skills and Training) programme. SOFTSOLS GROUP says Maintec 2017, (21st to 23rd March at the NEC) will see it showcase its brand new intelligent work capture and deployment solution AUTOAgility. The company says based on over 30 years’ experience in managing work across a variety of sectors; AUTOAgility uses dynamic, behind the scenes rules to ensure the right detail and quality of information is captured for each work request and then automatically deploys it to the most appropriate resource for completion.